Following our highly successful owl talk and DVD presentation by Dr Natasha Schedvin last Friday at Strath Creek (see “Where are the Barkers ?” post below), interesting owl reports are coming in. 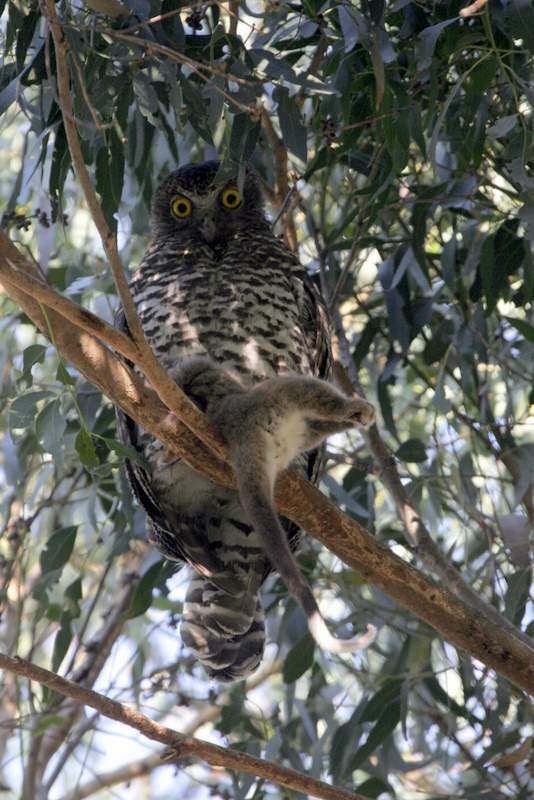 Two of our most enthusiastic survey participants were walking up their bush block driveway at the Junction Hill end of Flowerdale, spotted “whitewash” on the ground, looked up and saw a magnificent Powerful Owl perched on a branch with the hind half of a Common Ringtail Possum clutched in its talons ! 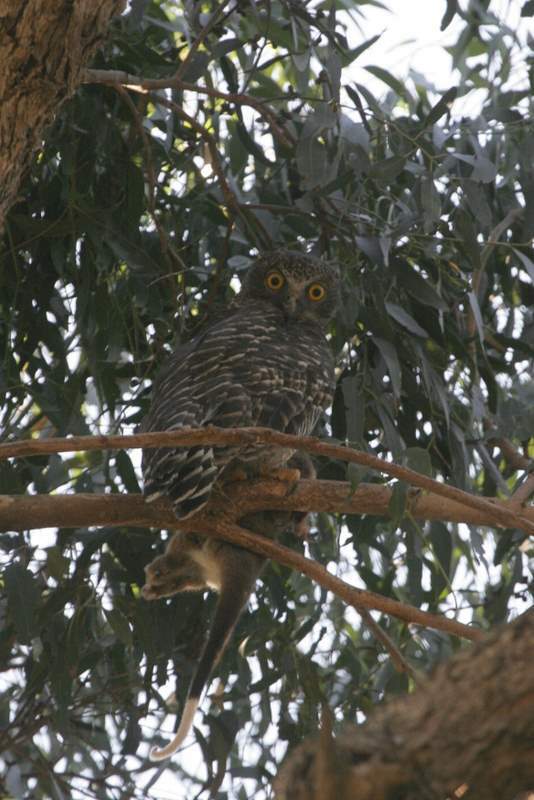 With this shot taken from the opposite direction, the Powerful Owl still has the observers keenly in its sights ! Meanwhile, just north of Strath Creek, two other attendees at the Barking Owl evening had found what they thought (and hoped) might be a Barker. 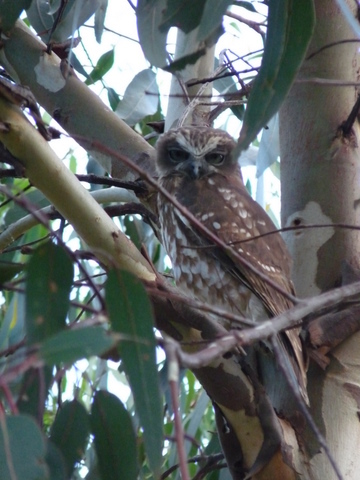 It turned out to be a Southern Boobook, but still a good sighting. They are now enthusiastic owl searchers and the hunt for the Barkers continues !